Pauser Pro is a backing tracks player with the additional convenient features. Auto pause, scrolling lyrics display, crossfade and fade out. 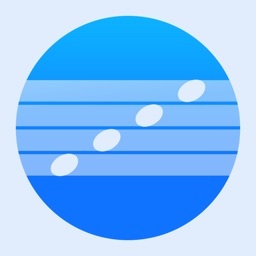 Now you can try a free version of Pauser Lite. It is a full-featured version but with the one limitation – you can’t make the Queue of more than 3 songs. A user friendly interface and intuitive controls make Pauser Pro an essential player for experienced musicians. If you need the music and lyrics source, if you work on stage – Pauser Pro is the solution that will allow you to think only about your ideal performance. 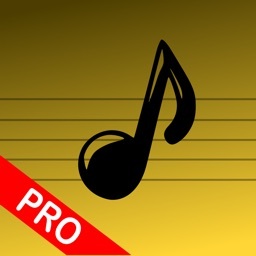 Pauser Pro takes tracks from Music.app. 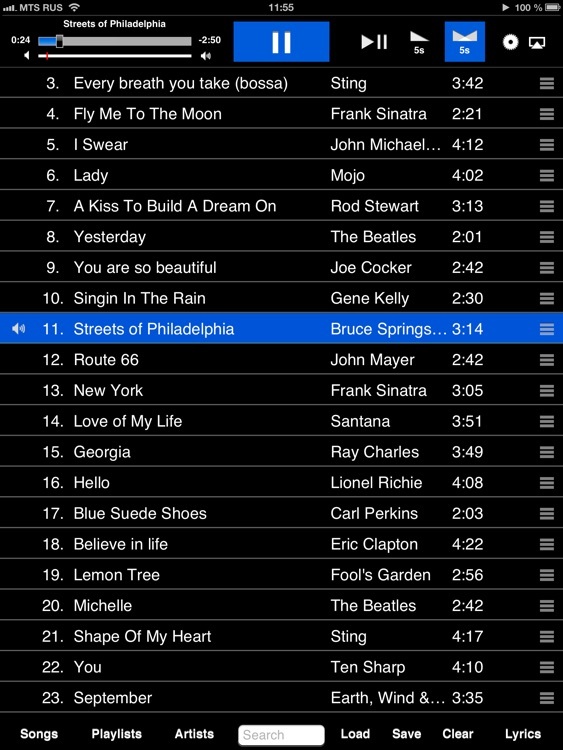 Just load the tracks from your PC iTunes to Music and they will be available in Pauser Pro. 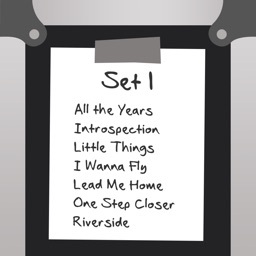 Tracks selection into a List. Easy selection of the tracks –from Playlists, from Library, by Artists or Library search. You can change a track position in the List on-the-fly, by simple drag-n-dropping even while the performance. Save your own Lists and Load them any time. 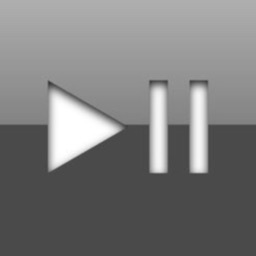 Auto pause – when a track ends, the next one is auto paused until you press Play. Fade out – the volume of active track is fading in the end. The time of fading effect you may set right on the spot in the Settings. Crossfade (mixing, fading out/in) – tracks are smoothly “flowing” one into another. Volume of the active track fades out in the end, while the next track in the List is fading in. The time of crossfade you may set right on the spot in the Settings. 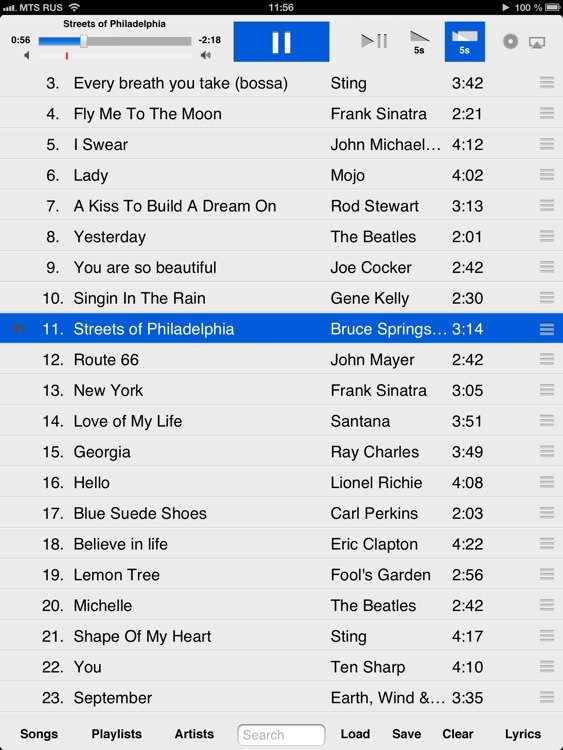 Lyrics can be assigned to the each track in iTunes. For it right-click on the track in iTunes on your PC and choose in a pop-up menu – “Lyrics”. Enter any lyrics or text. 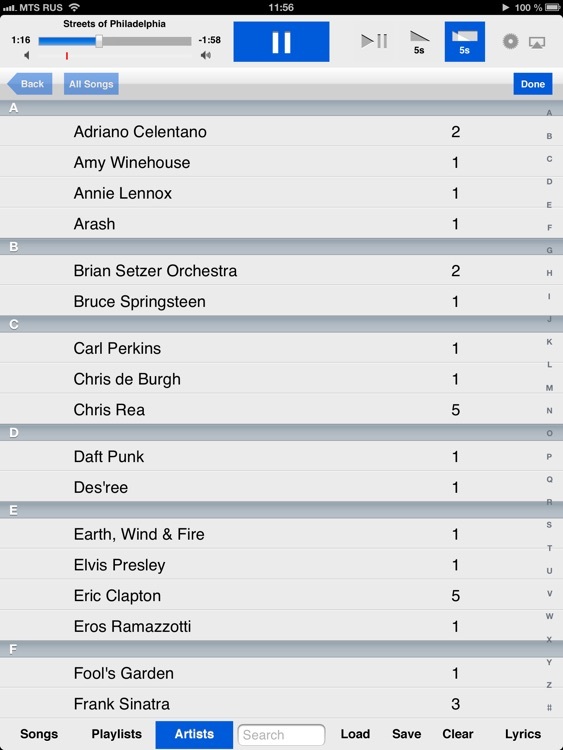 Synchronize your iTunes and iPad. If the lyrics were entered successfully into the track’s file, after the synchronization you will see it in Pauser Pro by pressing Lyrics button. The size of the font may be adjusted in the Settings. 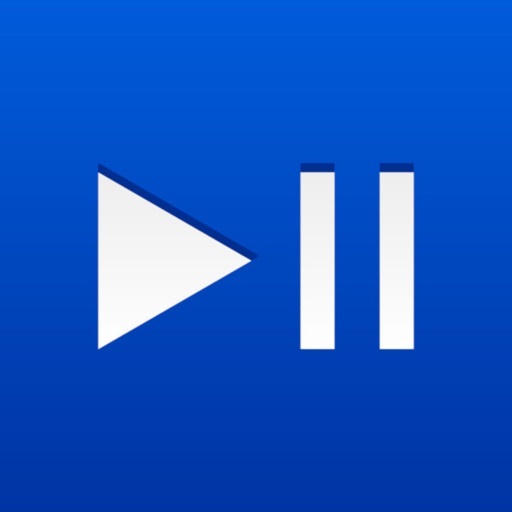 AirPlay – this feature allows you to play the music on all devices that support Wi-Fi technology. Absolutely wireless source of your music and lyrics is the ideal assistant of any musician on the stage. There are 2 variable Color Schemes – white font on black background or vice versa. 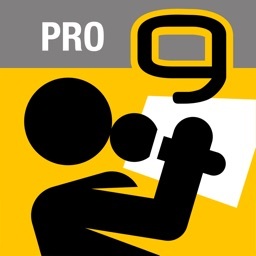 It will help you to find the most comfortable way of text presentation.